Working with a tight Christmas budget? Here are a bunch of free Christmas gifts that you can make for your friends and family, using things you already have on hand. Like to knit or crochet? Use your leftover bits of yarn to whip up a bunch of dishrags. If you bundle several together with a pretty ribbon, you'll have the perfect gift for co-workers, teachers, and friends. Here are several patterns you can use for knit dishrags and here's one you can use for crocheted dishrags. Want to turn this into a bigger gift? 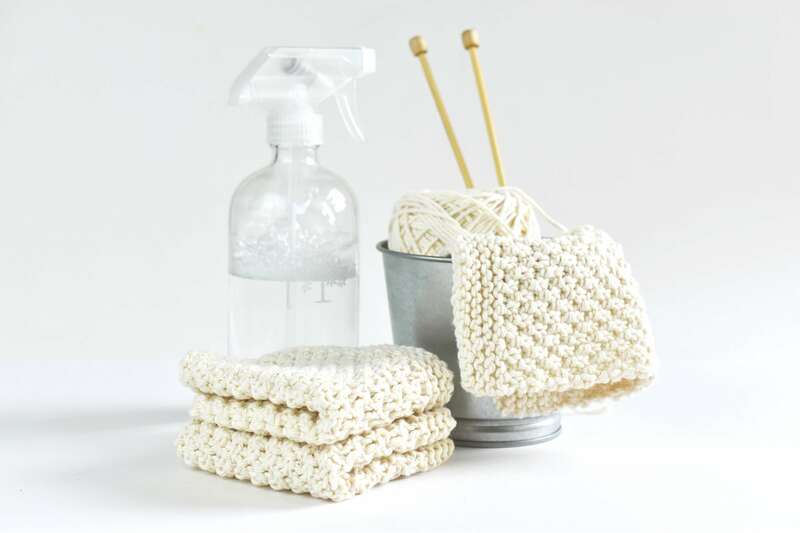 Make some of these pot scrubbers or bottle scrubbers to go with them. Take a walk in the woods or around your neighborhood to gather a big pile of pine cones. Then, melt down an old candle, or some crayons, and make pine cone fire starters. If you happen to have a box of Borax on hand, you can even make pine cone fire starters that will turn the flames green. This is the perfect gift for anyone with a fireplace or fire pit, or anyone who likes to camp. Use some of your fabric scraps to make pot holders, hot pads, or oven mitts for everyone on your gift list. You can even make a bowl cozy! Since you'll be sewing them yourself, you can make them any size you want; so go big! Make pot holders that are wide enough to wrap the front edge of a sheet pan, and hot pads that are long enough for a 9" x 13" casserole dish to sit on. Most people have plenty of pot holders and hot pads, but they won't have them in these large-format sizes; so this is a gift that's sure to be appreciated and used often. Here are a bunch of patterns that you can use to get your project going. Turn scrapbook paper, or pages from old books and magazines, into a stack of handmade envelopes for someone on your Christmas list. This is a simple cut, fold, and glue project, so it's something anyone can do, and it's something any stationery-obsessed individual will love. Here are free envelope templates in every shape and size imaginable. Scrunchies were popular in the 90s, and they're making a comeback. Get ahead of the trend by surprising the teen girls on your Christmas list with homemade scrunchies in an assortment of colors. It only takes a small amount of fabric and basic sewing skills to bang out a bunch of these. You don't have to be a soap maker to make your own liquid or foaming hand soap. In fact, you probably don't even have to make a trip to the store for supplies. Just grab a bar of soap from your linen closet, and melt it down, following the instructions here, to create your own custom-blend liquid soap; or grab a bottle of liquid soap, and use it as the base for your own foaming hand soap. If you have essential oils on hand, you can even use them to create a signature fragrance for your soap. Finish the whole thing off with a pretty label, and you're all done. Recycle your used jar candles into new jar candles. This project is as simple as melting the wax in a double boiler and pouring it into jars that have been prepared with a fresh wick. You can even reuse the same jars, if you clean them up first. 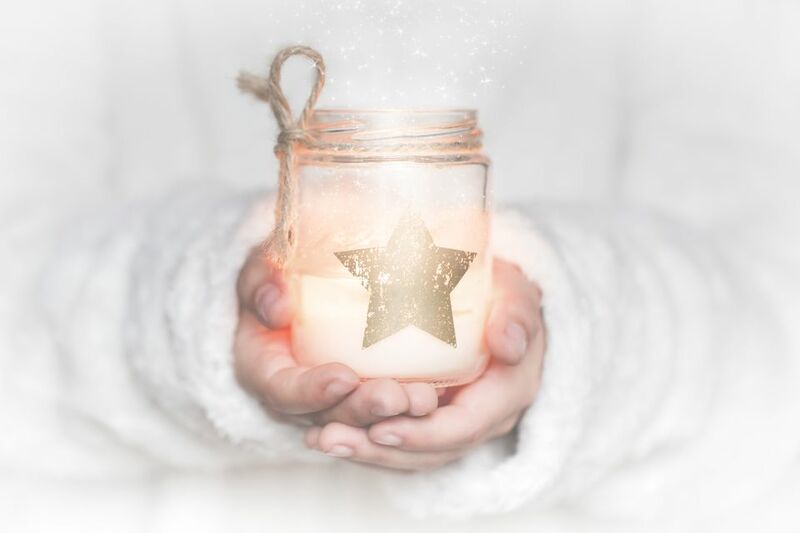 Just be sure that the jars or containers you use are safe for making candles. For the best results, use the wax from jar candles to make your own versions. Pillar and taper candles are made from a different type of wax. Find a free, printable recipe card template that you like, and use it to create a family cookbook, complete with all the stories and memories that go along with the recipes. Make a copy for each member of your family, so the recipes and stories can be enjoyed now, and then passed on to future generations. If you have time, collect recipes from all your family members, so it'll be as complete as possible. Have a pile of scrap wood out in the garage or shed? Dig through it for a few pieces that you can use to make perpetual calendars for some or all of the people on your Christmas list. This project is as simple as cutting the wood into blocks, and decopauging or painting the days and dates onto the face of the blocks. Here's a trick that you can use to paint the letters and numbers with picture perfect results, even if you're far from a master painter. Raid your pantry for salt, oils and herbs, and mix up a big batch of bath salts. Scoop the finished product into mason jars; slap on a nice label; and you've got a gift that any beauty enthusiast would love to receive. Here are several bath salt recipes that you can make, without running to the store for supplies. But the best part: this is one homemade gift that will only take you a few minutes to make—even if it looks like it took much longer. Our lips are sealed. Have a houseplant that needs to be divided? Pot up the divisions, and give them as gifts. If you have time, pot the plants a few weeks before you give them, so they'll have time to adjust to their new surroundings. This will ensure that they look their best when you gift them. Include care instructions with the card, so the recipient will know what they need to do to keep them looking nice. If you don't have any spare flower pots on hand, just look around your house for other containers that will work. There's no need to spend money.